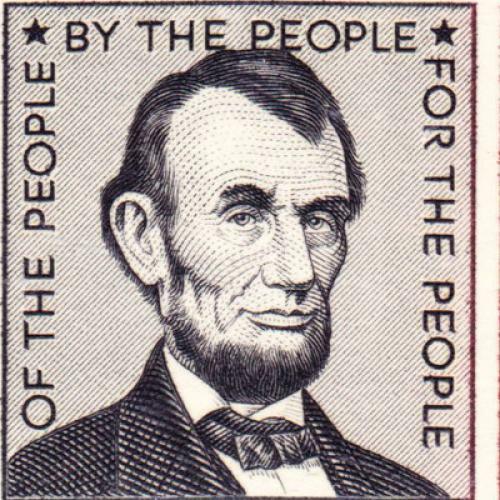 More than one clue must be unravelled to reach an understanding of Abraham Lincoln. Among them there surely must be reckoned his capacity for companionship. None more catholic in his selections ever lived. All men were his fellows. He went unerringly and unconsciously for the most part, to the meeting place that awaited him in each man's nature. There might be a wall, often there was; but he knew, no one better, that there is always a secret door in human walls. Sooner or later he discovered it, put his finger on its spring, passed through and settled into the place behind that was his. His life was rich in companionships with unlikely people, often people who began by contempt or semi-contempt of him. There was the town bully of his youth, whom he soundly thrashed for trying a foul in a wrestling match, and who rose from the dust to proclaim Lincoln the best man who ever broke into camp; thirty years later there was his own Secretary of State, with his self-complacent assumption of the President's unfitness for leadership and of his own call to direct the nation, put gently but firmly in his place and soon frankly and nobly declaring, "He's the best of us all." He had many pass-keys—wrath, magnanimity, shrewdness, patience, clarity of judgment, humor, resolve; and in the end, one or the other or all together opened every closed door, and he sat down at home with men of the most divergent views and experience: the bully, the scholar, the cunning, the pious, the ambitious, the selfish, the great, the weak, the boy, the man. Particularly was Lincoln at home with men whose native grain had not been obscured by polish and oil. There were many of them in his time in Illinois plying their trades or professions more or less busily, but never allowing industry to interfere with opportunities for companionship. They were men of shrewdness, humor, usually modest, not over-weighted with ambition. Their appetite for talk, for politics, for reports on human exhibits of all sorts, never dulled. Their love of companionship outstripped even their naturally intolerant partisanship. These men, unconsciously for the most part, resisted the social veneering that, beginning in Illinois in Lincoln's day, rapidly overlaid the state. In his first contact with Springfield in the '30's he remarked the "flourishing about in carriages," the separation of people into groups according to money, antecedents, social equipment. He never allowed convention, address, ceremony, however foreign to him, to interfere with his human relations—he went over or around them. But, natural man that he was, he found a special freedom with those in whom the essence of human nature remained unmixed and uncorked. There were many of them in the towns—Springfield, Bloomington, Princeton, Quincy, Chicago. Their memory of Mr. Lincoln was among the most precious and satisfying things in their lives. When business was dull or the day rainy and consequently there were few or no interruptions, the talk you started by questions soon became a soliloquy. Head against the wall, feet on desk, eyes far away, voice softened, they re-lived the old friendship. Their memories were tender, reverent, but singularly devoid of the thing that we call hero-worship. Mr. Lincoln remained too real to them, too interesting and companionable. If Mr. Lincoln's fellowship with these men was based on his love of sheer human nature, he found in them, too, something very precious to him, and that was a humor that answered his own. The spring from which his humor flowed was strong with native salts and so was theirs. It was naked but clean, devoid of evil insinuation. It was always out-with-it—strong, pungent words; strong, pungent facts. The humor was not in words or facts, it was in what they pointed—the illumination they gave of life and men. Lincoln's humor was part of his passion for reality, truthfulness, freedom. The unashamed answered him and gave him more of a particular kind of salt he craved, in a life in many ways starved, starved for love and hope and gaiety, for all of which he had great natural capacity. The youthfulness of their spirit endeared them to him. They were usually some fifteen or twenty years his junior; but in feeling the difference was greater. Lincoln early looked on himself and spoke of himself as an old man. It was not years—it was burdens, defeats, the failure to find a satisfying purpose in life. He was old, and he craved youth. These men had it. They were perennial children. Youth seemed to warm him, and he sought it wherever it was to be found in children, boys, young men. They in turn instinctively came to him. A succession of youth in all its forms follows him through his goings and comings in the streets of Springfield, along the route of the old Eighth Circuit of Illinois, through the streets of Washington, into the White House. His own children stirred the deepest passion his unsatisfied heart ever knew. Tad, whose stuttering tongue and restless, valiant spirit brought out all Mr. Lincoln's tenderness, sat beside him every free evening, going over the pictures and text of the shoals of books which publishers send to a President; he helping the boy's stumbling tongue to frame his comments—a perfection of fellowship between them. When the nights were not free—and that was often, for there were long conferences running into the small hours, the lad slept beside him on the floor of the conference room. And when it was over, he gathered him up in, his arms and himself put him to bed, consoled in the harrowing muddle of affairs by the perfect love between them. One can never be too thankful that he had John Hay, then a youth in his early twenties—and such a youth! The joy and fun and understanding between them as it crops out in Hay's letters is a streak of pure sunshine across the almost suddenly tragic life of the White House in the Civil War. of the need and the preciousness of more and more unionism if we are to secure our final better world. He could not have done what he did had he been less understanding of men and their limitations as well as of their powers, less experienced in passing behind human walls, finding what was there and using it, not asking lf a man what he could not give, not forcing on him what he could not receive. Who can estimate what it was to the nation to have as a leader through the Civil War a man “born with a pass-key to hearts”?